Salt represents the action of thought on matter, be it the One Mind acting on the One Thing of the universe or the alchemist meditating in his inner laboratory. SYRACUSE, NY, JANUARY 16, 2017 – The Alchemical Nursery Project, Inc. and Partnering Hosts today announced the launch of a new e-mail list for people in Syracuse and Central New York who are interested in the topics of Sustainability, Agriculture, Landscaping, and/or Transition (toward greater resilience, reduced environmental impact, and stronger local economies). 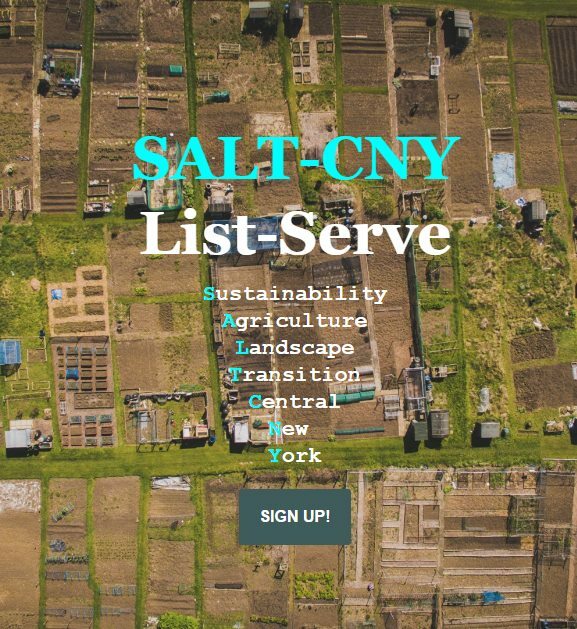 Called SALT-CNY, this listserv is to will facilitate connections, information sharing and communications among groups and individuals dealing with these environmental topics. Robbie Coville, a board member of Alchemical Nursery, who helped set the listserv up, said: “There are many ways we can improve our ways of life, reducing our negative environmental impacts, enhancing our positive impacts, and cultivating resilience in the face of economic and ecological changes and challenges. This mailing list is public; it is being set up and maintained by The Alchemical Nursery Project, Inc. and hosted by Lists.RiseUp.net, both non-profit organizations that run on mutual aid. SALT-CNY will be operating with the support of many volunteers and such partnering organizations as Mainstream Green, Inc.; Bread and Roses Collective House; Climate Change Awareness & Action; and the Whole Earth Club at Onondaga Community College. 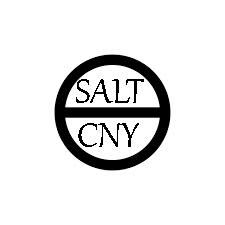 To join SALT-CNY listserv. people need only to send an email to salt-cny-subscribe@lists.riseup.net. They will receive a confirmation email, then will be added to the list once approved by a moderator. Alchemical Nursery, a local permaculture non-profit and Syracuse’s Food-Not-Lawns chapter, works toward the mission of regenerative lifestyles & landscapes using the principles of permaculture. Learn more online at alchemicalnursery.org or facebook.com/alchemicalnursery. RiseUp.net provides online communication tools for people and groups working on liberatory social change. RiseUp.net is a project to create democratic alternatives and practice self-determination by controlling our own secure means of communications. “Be The Crowd vs Climate Change” is the slogan for Mainstream Green, Inc., the New York 501C -3 nonprofit corporation that uses media and grassroots outreach to popularize habits that cut waste and pollution while shrinking use of fossil fuels. Learn more online at mainstreamgreen.org or facebook.com/mainstream2green. The Bread and Roses Collective House is a non-profit organization that provides a model of cooperative living, ecological sustainability, and affordable housing in the heart of the city. Learn more online at breadandrosescollective.org or facebook.com/breadandrosescollective.